'Lunar landscapes as far as the eye can see. Hills a gesture of abstraction. Rhythms full of emptiness. The melancholy of De Chirico. The loneliness of Friedrich. The yearning of Adams. The dead cities of Schiele. The timelessness of Cooper. 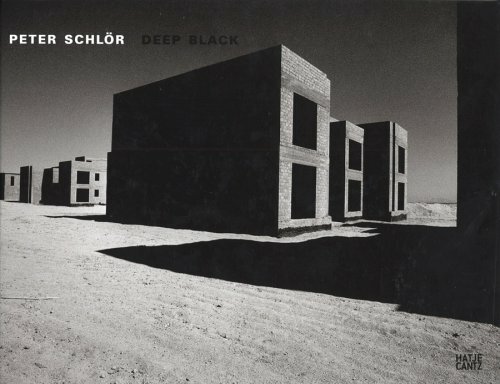 Black squares, black beaches, black holes and again and again black sky.' This is how essayist Harald Krämer describes the German photographer Peter Schlör's stark, monumental images. Marked by powerful and austere compositions, the strongly contrasted black-and-white photographs do achieve a remarkable tension, as if to suggest that the viewer might be the last person on earth. Featuring work from 1986 to the present, Deep Black is the first monograph devoted to the artist's work.